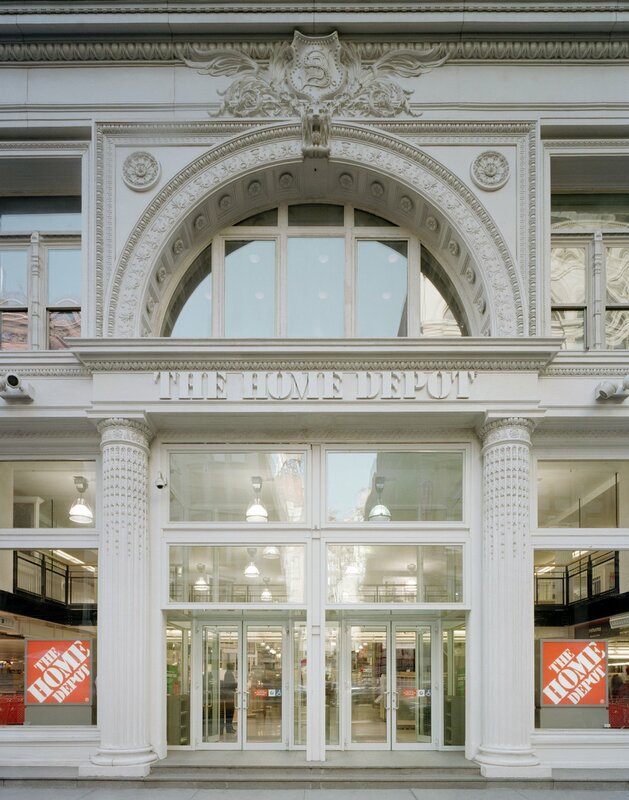 GreenbergFarrow designed The Home Depot’s first Manhattan location. 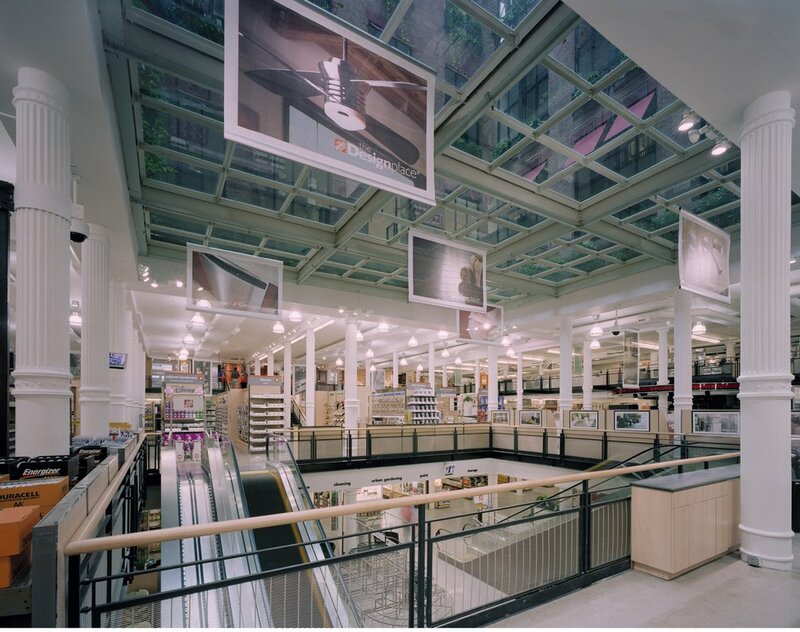 Reinventing the stand-alone big-box store for a tightly gridded, classically cosmopolitan context, GreenbergFarrow united a pair of existing limestone buildings. 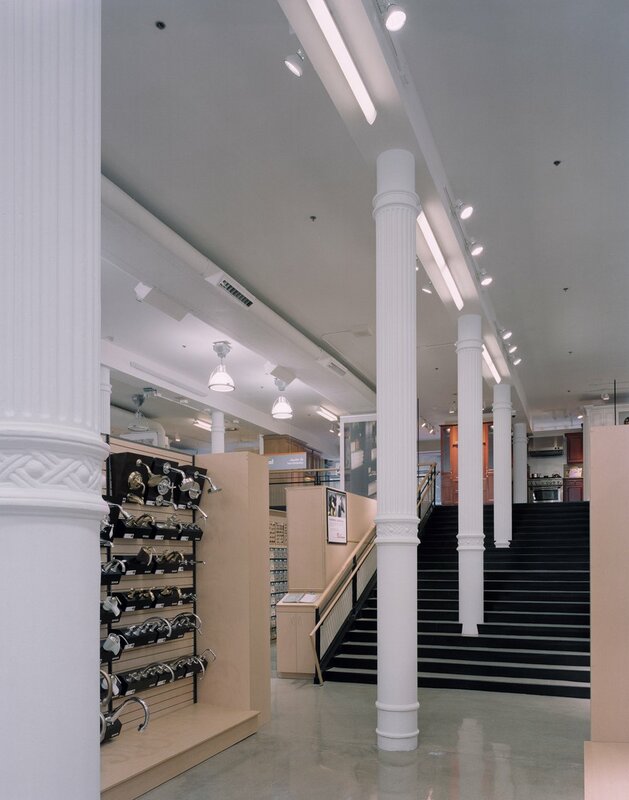 Each building’s historic facades were preserved, complete with the original architectural details. 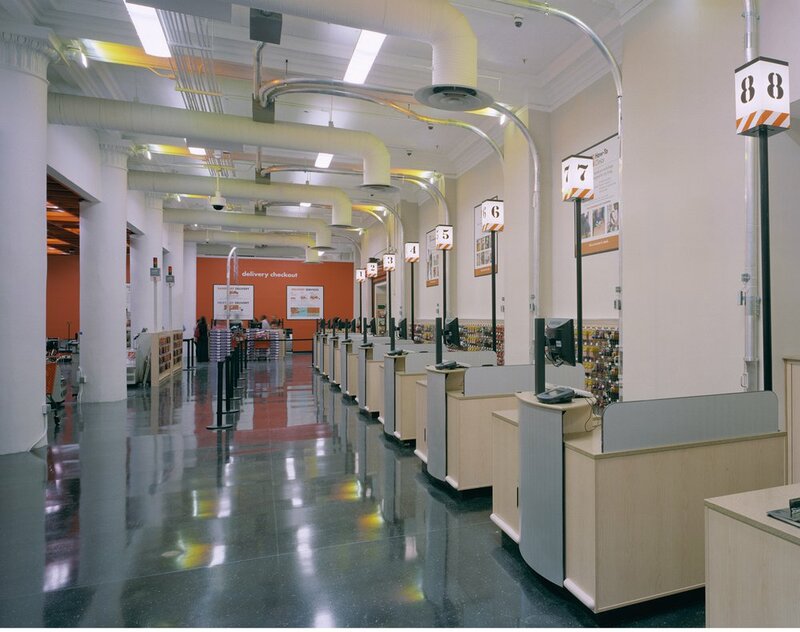 A loft-style design of the interiors was utilized to help accommodate the wide-ranging needs of the merchandise.